BOCA RATON, FL — Boca Raton FC will honor Chapecoense all year long as the Club has announced today that their third kit will be custom-made to honor all those whose lives were lost in the devastating crash that happened early Tuesday morning. Heading to their first-ever South American Cup Finals, Chapecoense’s chartered flight crashed early Tuesday morning near La Ceja in Colombia. In order to honor those who lost their lives in the tragic event, Boca Raton FC will be wearing a custom-made 3rd kit throughout the 2017 Season honoring Chapecoense. Chapecoense is a story of perseverance, passion, and will. After being in the fourth division in Brazil, the club worked its way up to the Top-Flight of Brazilian soccer and will finish the 2016 season in ninth place in the Brazilian first division. “We wanted to find a way to honor not only the players that were lost in this tragedy but also the entire club as they now head to a rebuilding process,” said Boca Raton FC president, Douglas Heizer. 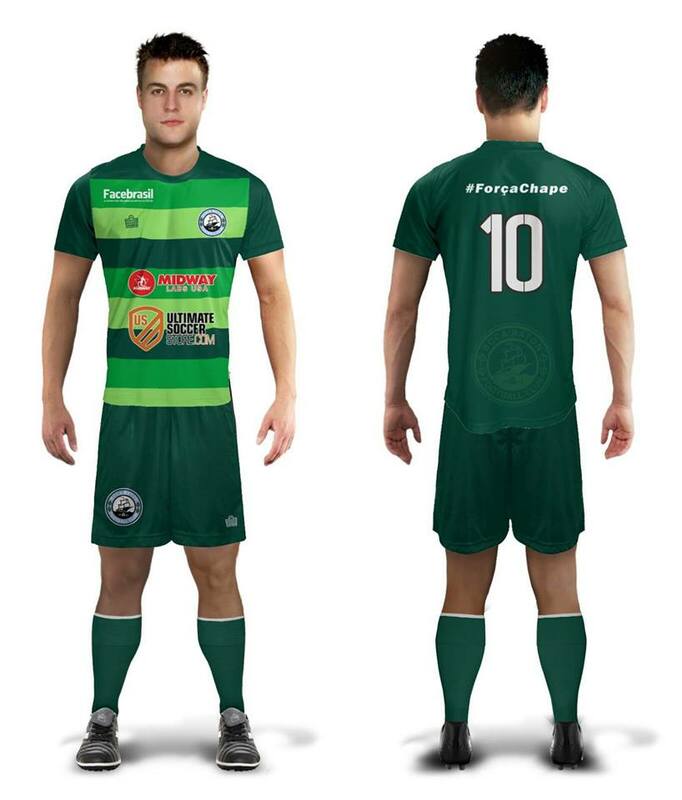 With the traditional Boca Raton FC hoops, but in three shades of green instead of blue, and #ForçaChape displayed on the back, Boca Raton FC will debut their 3rd kit on December 11 when the club faces Red Force FC in the APSL Fall Season Finals at Tropical Park at 5pm. Midway Labs, FaceBrasil, and Ultimate Soccer Store will have their logos displayed on the historic jersey as the trio made it possible to get the kits in production. Admiral Sports, Boca Raton FC’s official uniform supplier, was able to have the kits with a great turnaround after hearing what the club wanted to do to honor Chapecoense. A part of the proceeds of all Boca Raton FC third kit sales made all year long will be sent to Chapecoense to assist the club in any way possible. Below is Boca Raton FC’s Third Kit, pre-sale will begin soon. Boca Raton Football Club currently plays in the American Premier Soccer League, where the team has won two straight APSL Titles. 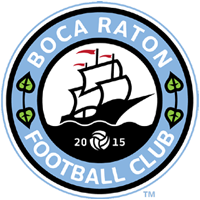 Founded in 2015, Boca Raton has found success in its infant stages and has played international friendlies with the Jamaican National Team, The New York Cosmos, and European powerhouse, Shakhtar Donetsk at home in front of 1,339 fans. Boca Raton FC also has a High-Performance Academy, as well as a partnership with Barcelona Elite which gives Boca Raton a complete soccer pyramid effect that starts when a child is 7 years old until they are ready to turn professional.